No cross-reactivity to Acetyl CoA Carboxylase without phosphorylation at Ser79. 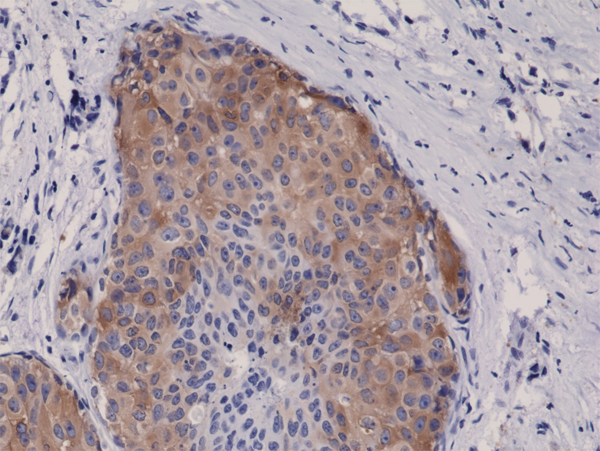 Immunohistochemical staining of formalin fixed and paraffin embedded human breast cancer tissue sections using Anti-Phospho-Acetyl CoA Carboxylase (Ser79) Rabbit Monoclonal Antibody (clone RM270) at a 1:5000 dilution. 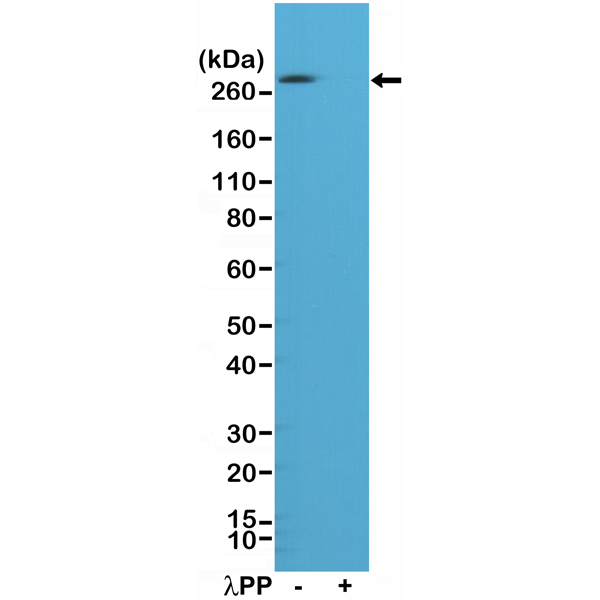 Western Blot of A431 cell lysates, nontreated (-) or treated (+) with Lambda Protein Phosphatase ( λPP), using Anti-Phospho-Acetyl CoA Carboxylase (Ser79) Rabbit Monoclonal Antibody (Clone RM269) at a 1:1000 dilution.